Many girls in rural Africa lack access to education due to factors like gender inequality and familial poverty. But for the past 10 years, a social entrepreneur and former educator in Ghana has been working to change that. After observing the difficulty many young girls have while trying to access education and stay in school – as well as the lack of innovation in the educational system – social entrepreneur and Ghana native Kafui Prebbie believed he could improve education through technology – so he did. Prebbie founded TECHAide, a technology company working to digitally deliver educational content to those typically unable to access education in Ghana. TECHAide provides affordable hotspots, servers, mobile devices, interactive educational software and community computer labs to deliver educational lessons, videos and other content that can be leveraged in rural communities that traditionally lack these resources. Recently, Prebbie launched the company’s newest product – ASANKA – a mobile hotspot and content delivery system named with a dual meaning: Community Bowl, a Ghanaian reference, and an acronym for All Subjects and New Knowledge Access. Founded 10 years ago, Prebbie shares the company has reached more than 100,000 students in Ghana. 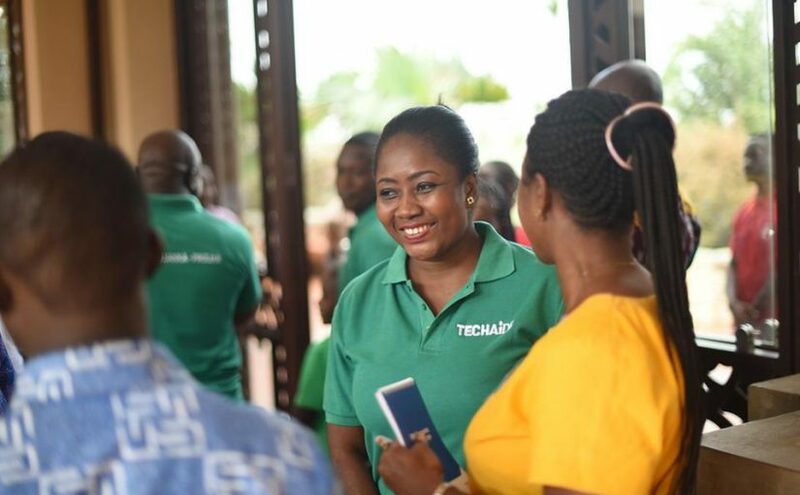 And while TECHAide’s reach validates need, Prebbie wanted to take his technology to a new level – leveraging personal mobile devices to bring education to even more young students across Ghana, a goal that required the help of a strong corporate partner.